Artist and activist Ai Weiwei has over 40 cats. Frida Kahlo had monkeys, parrots, parakeets, chickens, an eagle, a deer and a few xoloitzcuintli dogs. Expressionist Paul Klee had a cat called Bimbo. Picasso had a dog named Lump. Leonardo DaVinci was the original animal rights activist and was the first to go on historical record as a vegetarian. It seems as if many of the greats had some fur-or-feather-clad muses by their sides. 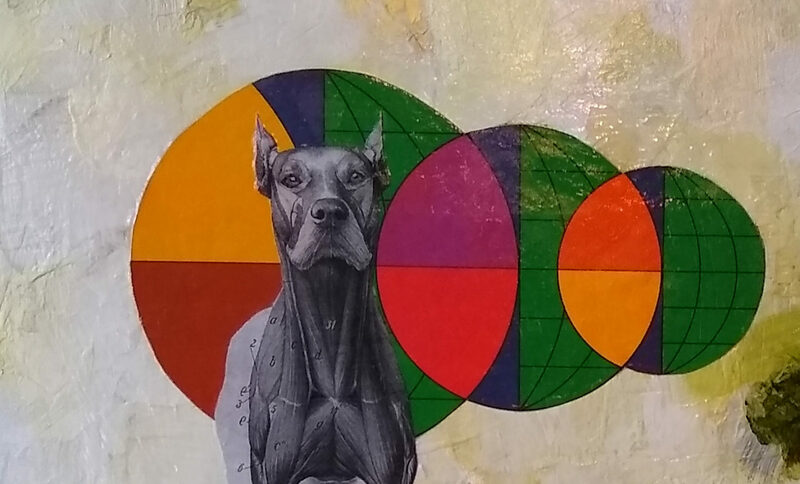 In the upcoming Confluence Gallery show, THE FANGS IN MY HEART, curator Penelope Varn looks deep into the relationships between humans and pets. There is plenty of evidence that suggests the relationships between animal and human have beneficial effects for both parties, and for artists, those relationships cultivate creative growth.